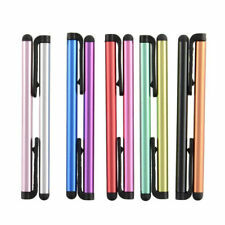 Lot de 5 mini stylets multicolores s'utilisent sur toutes les surfaces tactiles (iPad, iPhone, Tablettes). Il vous fourni une bonne prise en main et un maximum de confort avec sa Soft-bille. Toucher et contrôle de précision, en évitant d'appuyer sur les touches trop fort. 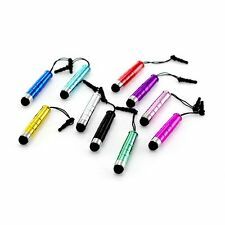 5x QUALITY MICRO FIBRE STYLUS PENS. ANY TOUCH SCREEN DEVICE! 5 x COLOURS SENT. Conductive fiber tip which is far more responsive than a standard rubber tip. Fiber tip is very durable and unlike rubber tipped styluses will not wear easily. The smartest stylus on the market - the S Pen - only compatible with the Galaxy Note 8. The S Pen allows you to be as creative as possible with your Galaxy Note 8 enabling you to get the best experience possible from your phone. #teepee online# # MICRO FIRER fibre STYLUS PENS for iPADS,TABLETS, iPHONE, SAMSUNG. ANY DEVICE #. 5x INK WRITING PENS PLUS RUBBER TIPPED STYLUS. Black ink nib at the other end. Rubber tip at one end. Lot de 5 stylets de 10,5 cm de long. Idéal pour smartphone, tablette, pda, et tout autre écran tactile. Mélange de couleur selon arrivage. Penna/ PENNINO UNIVERSALE Capacitivo. IMBALLO ACCURATISSIMO. Verkauft wird hier ein Samsung stylus pen. Für das Samsung Galaxy Tab Active T360/T365. „Cd " steht für Cadmium - „Hg " steht für Quecksilber - „Pb " steht für Blei. Altbatterien gehören nicht in den Hausmüll. Sie sind als Verbraucher zur Rückgabe von Altbatterien gesetzlich verpflichtet. 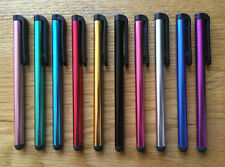 STYLET POUR SAMSUNG GALAXY NOTE. Un bouton latéral ajoute des combinaisons, il est par exemple utilisé dans la capture d'écran ; pression sur le bouton latéral puis pression du stylet sur l'écran pendant 1 seconde. Includes a ballpoint pen on the other end. SmartPhone Accessories. - Made from aluminium – strong and light. - Protects screens from scratches and smudges. Garmin Accessories. - Capacitive technology – works on all touchscreens. Fitbit Accessories. This is a high quality 2 in 1 Touch Screen Stylus Pen for your phone.Use a touch screen stylus pen that will help your screen free from scratching and fingerprint. With a ball pen on the other end, you can write conveniently without the hassle of searching for the pen.Its sensitive touch is perfect for smooth operation. Kugelschreiber 6 in 1 - Werkzeug dabei - dieser Kugelschreiber hat es in sich!! Made from aluminium – strong and light. Tablet Accessories. That’s only 195p each. - Secure fastening clip and lanyard hole. - Ultra Smooth responsive touchscreen action. - Protects screens from scratches and smudges. 5 x COLOURS SENT. RUBBER TIP. 5.5cm CLOSED. 7.5cm LENGTH OPEN. Made from aluminium – strong and light. It has a clip to secure it to your pocket; or if you’d rather wear it around your neck, it has a small hole to thread a lanyard through. - Secure fastening clip and lanyard hole. For tablets, smartphones and touchscreen computers and laptops Feels good in your hand. Works better than your finger. Whether you’re a gamer, businessman, student or leisure-seeker, this high-end capacitive stylus will make sure you do everything with total accuracy. It keeps touchscreens free from scratches and smudges, and its solid build quality ensures it’ll last and last. It has a clip to secure it to your pocket; or if you’d rather wear it around your neck, it has a small hole to thread a lanyard through. The rubber tip makes easy work of scrolling, clicking and tapping and is truly universal – so it’s suitable to work with all of your touchscreen devices. 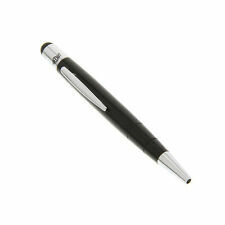 TRIXES Black Fine Point Stylus Pen for Smartphones & Tablets Capacitive Touch Screens. Works on any capacitive phone and tablet touch screens including iPhone, iPad, Samsung, LG, and more. 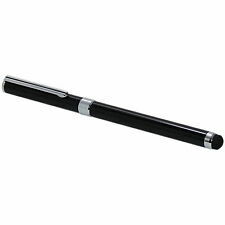 There#s no need to smudge up your phones screen any more, the tip on this pen will work on any capacitive touch display, and won#t scratch the screen. 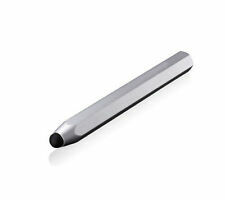 Hellfire Trading Black Aluminium Crayon Shaped Stylus - iPad iPhone Tablet. - Made from aluminium – strong and light. Tablet Accessories. That’s only 195p each. - Secure fastening clip and lanyard hole. #teepee online# # MICRO FIRER fibre STYLUS PENS for iPADS,TABLETS, iPHONE, SAMSUNG. ANY DEVICE #. 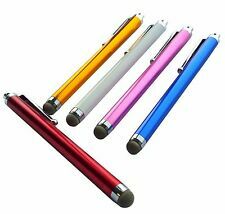 5x QUALITY MICRO FIBRE STYLUS PENS. ANY TOUCH SCREEN DEVICE! Conductive fiber tip which is far more responsive than a standard rubber tip. Multitasking Kugelschreiber mit 6 Funktionen wie Touchpen, Lineal, Wasserwaage oder Schraubendreher als Gadgetgeschenk für Männer. 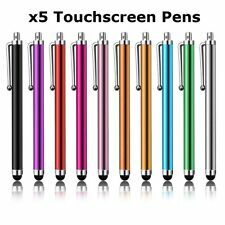 #teepee online# #10 x QUALITY STYLUS PENS for IPAD, TABLET, IPHONE, SAMSUNG ipad ipod kindle samsung note touch screen tab ipad air ipad mini#. 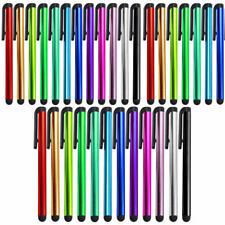 10 x QUALITY STYLUS PENS. for IPAD, TABLET, IPHONE, SAMSUNG ETC. 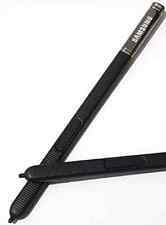 Official Samsung Stylus S-Pen for Samsung Galaxy TAB A 10.1" 2016 SM-P580 SM-P585. Samsung Galaxy TAB A 10.1" 2016 SM-P580 SM-P585. This is only compatible with the Samsung Galaxy TAB A 10.1" SM-P580 2016 model & no other tablet or. Made from aluminium – strong and light. That’s only 179p each. Feels good in your hand. Works better than your finger. - Secure fastening clip and lanyard hole. - Ultra Smooth responsive touchscreen action. SmartPhone Accessories. - Made from aluminium – strong and light. That’s only 34p each. - Secure fastening clip and lanyard hole. - Ultra Smooth responsive touchscreen action. - Protects screens from scratches and smudges. 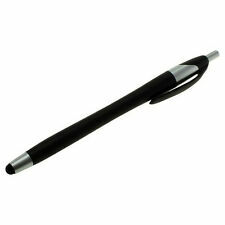 Lenovo Active Pen 2 is a Bluetooth enabled Active Capacity Pen. It can support 4,096 levels of pressure sensitivity to provide a natural pen and paper experience when you sketch and jot down notes. Bluetooth Connectivity.